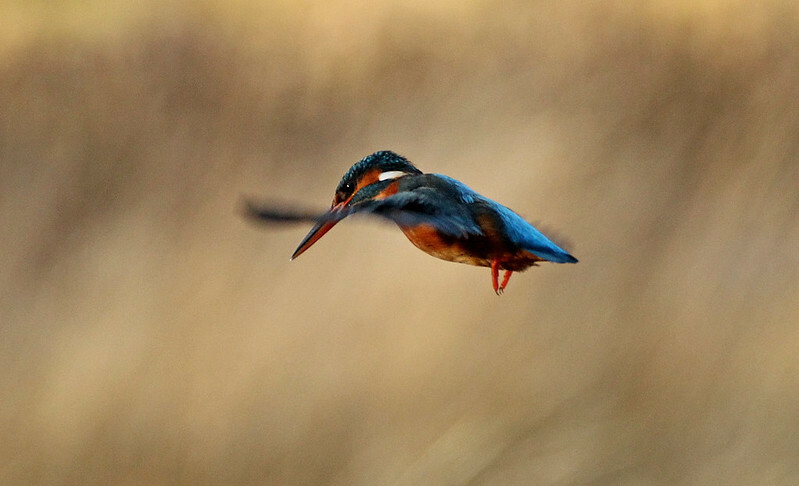 Great photos....I've learnt a new bird today.... Thank you. 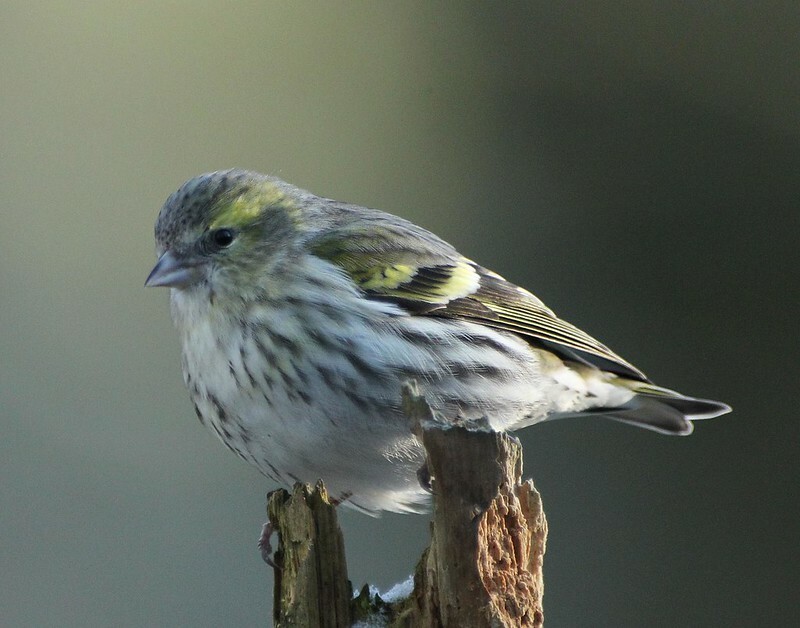 A female Siskin, we have quite a lot of these just now. Another nice photo Tiger. You must forgive my ignorant question but does this species ever change to a camaflage white during the winter season? We see photos of white hares but perhaps they're a different species. The Mountain or Blue Hare is the one that turns white in winter and is our only native Hare(or rabbit for that matter), the one above is the lowland Brown Hare, much bigger with longer ears and no white coat. There is one of my pictures of a Mountain Hare on page 3 of this thread. More lovely photos Tiger, and YES, you must listen to she who is to be obeyed. Am sure it won't be for too long but you need to take care of yourself. You will just have to be a passive enjoyer of all you own photos like the rest of us for a short while. Set up the camera at home while recuperating, your photography skills could make a pigeon on the roof look great! Her indoors will be happy you're not out gallivanting & we will still get the pleasure of your talent! 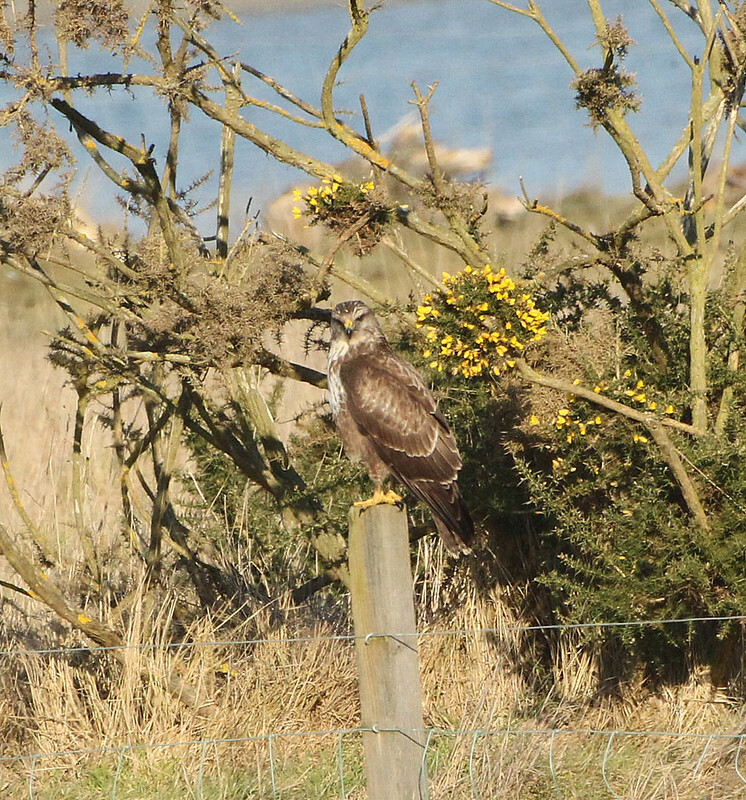 Out with the camera today, found this Buzzard sunning It self. I'd love to take a decent pic (well occasionally I get lucky by accident, but mainly not)! You are kind of inspiring me to try harder, not ever going to get the same results from the phone or the wee Polaroid but I am going to try. Of course you do appreciate they could be upside down when I post them though, but when I do I would appreciate any feedback you could give me about improving what I have taken with what I could have. You up for that or is that a step too far during your recuperation? I'm sure others would also like some plain English help as well - yes anyone? More than happy to both give and receive comments, remember one thing with creating image, beauty is in the eye of the beholder, if you are happy, that is the most important thing, whether painting or photographing. Thought I'd post a picture and then give some details as to what I did and why. This was the effect I was after, the head and body in sharp focus and the wings blurred to give the shot a sense of movement. “ISO speed” is a widely-used photography term. On film cameras, it indicated the sensitivity of the photographic film to light. In digital photography, it indicates the sensitivity of the CMOS sensor toward light. A higher ISO speed indicates higher sensitivity to light. Now this is only likely to be of use if you use a camera in manual setting, sadly I don't think this can be done on a phone. Afternoon Tigerburnie, a very interesting insight into what it takes to get your stunning photographs....thank you for taking the time to post the information. Thank you Tiger! I think you will be very helpful even with my limited knowledge. My hubby does 'proper' photography but takes off somewhere like he's going on a camping trip with tripods, different lens', both his old & new Cannon as he finds subtle differences in their attributes, weather gear etc. etc. I get great tree & landscape pictures (100's each time), but my passion is the critters although he does pacify me with the odd swan or goose to be fair. He has never explained aperture as simply as you - hole that lets the light in! Cheers very much! Camera & phone in the lottie bag tomorrow - watch all the insects & birds run & hide!